Heating System Repairs Upland | Heating Contractors Rancho Cucamonga, Montclair & Claremont, CA - All Air Appliance Masters, Inc. While your HVAC may not get as much use on the heating side of things as your air conditioner does, it still gets a workout each winter. 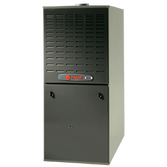 We can service, repair, and install new heat pumps and HVAC units to make your home comfortable year-round. Whether you’re looking for some supplemental heat to help cut your energy costs, or you just need system maintenance, we have trained service technicians that can help. All Air Masters is a full-service HVAC contractor. Whether you’re looking to repair, replace or maintain your home heating system, Make the All Air Masters Choice and give us a call today. Our service area includes San Bernardino County, Riverside County, Los Angeles County, and Orange County.